With the touch of a button, the handset speakerphones makes hands-free conversations easy." What we thought: This phone is great! The hands-free capabilities are great for on-the-go dads (and moms:) We also love the Voice Announce and Push-to-Talk features. This phone has many of the latest hi-tech features any dad would be happy to have on his home phone unit. 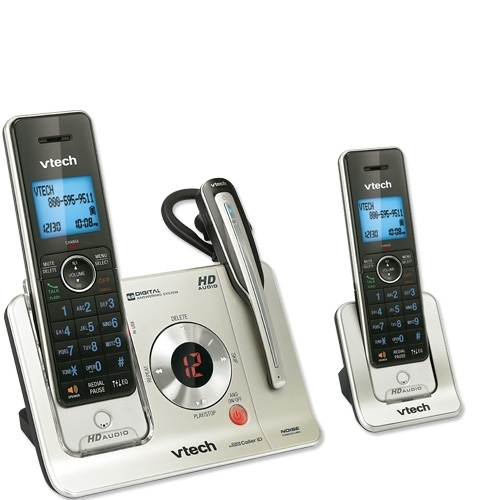 Not to mention it has a sleek and stylish, yet functional design:) ABCD Diaries gives this Vtech phone an A+!! 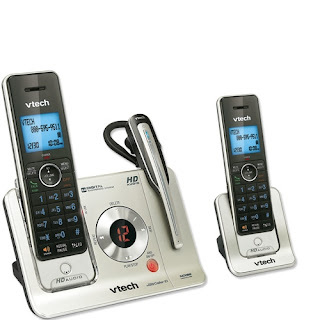 Find out more about this phone at Vtech! Originally published on 2012-06-07 by Christin Banda at ABCD Diaries .